The long awaited opening of Orupa has arrived! Today she who must be obeyed and I sallied forth to lunch here. It’s brand new, crisp and clean in what might be termed minimalist/modern décor. The color scheme is warm earth tones and black. Comfortable booths line the walls and windows and four chair table settings reside in the interior. The ceiling, as seems to be fashionable today, was exposed I-beams and duct work painted a flat brown color. All very relaxing and inviting! They were heavily overstaffed with a bartender, hostess and five servers, but it was early. Their lunch menu was a bit abbreviated, but I soon realized their focus is on quality in what they prepare and not quantity of offerings. They have a full bar and what, at a distance, looked like an extensive wine selection. My bride ordered Vegetable Soup and Chicken Caesar Salad. Her soup was delicious with a large dollop of stringy Mozzarella cheese. Her salad was also very good and had a drizzle of Balsamic Vinegar Dressing which gave it a nice visual effect as well as flavor punch. I had their Chicken Bleu Pizza! Sounds a little weird? Au contraire! I’m usually a thin, New York Crust kind of guy, but this was so wonderful, I have not a disparaging word for the semi-thick crust. The chicken was nestled in a gooey bed of melted blue cheese, herbs and spices and maybe a little mozzarella mixed in. Heaven on a board! As most know, these are the wonderful folks who brought us gustatory delights at the Old Europe Inn for more than a quarter century. When the word gets out, I predict, this place will be one of the Cherry City’s most popular spots! 11am to 9pm daily. Fri. & Sat. until 10pm. We were there on Thursday night for happy hour. Excellent service. We sat at the bar and ordered appetizers. Bruce, the bartender, was fabulous. Great service, food, and drink. We will definitely go again - next time for lunch or dinner. Is it okay to have the exact same review appear in eatsalem.com and Urbanspoon? Just asking. This isn't a preview. The restaurant is open. Hi Anonymous, I'm going to answer both of your questions in one comment. Yes, we know that Chuck posts reviews on other sites. And yes, the restaurant is open, but whenever a contributor writes a post about a newly opened place we call it a preview. Eatsalem believes in giving a place time to get their stuff together. We had dinner there last Friday night, everything was great but they need to bring back the lobster/Shrimp or I will not be coming back, that became a staple in my diet. It seems silly to not return to a good restaurant because they don't serve a personal favorite... Maybe that's just me. They are finally open! As a big fan of Old Europe Inn, I'm ecstatic to see that the owners, who are wonderful people, have upgraded to this gorgeous building. I made my first trip there last week. My friend and I started the meal out with the Stramboli. Absolutely amazing, it is almost like a calzone made fresh. The dough was so crisp on the outside and deliciously soft inside. Perfection! For the main courses I tried their Orupa Burger while my friend tried the Ahi. We obviously had to trade bites. No surprise, absolutely amazing. I'm not a big fan of mushrooms, but the burger was fantastic, one of the best I've had in a long time. The ahi was seared to perfection and the sauce was the perfect compliment. We ended the night with dessert (obviously, we made it this far, might as well push the waist line to see how their desserts were). I got a chocolate mousse cake, my friend kept it safe and chose the creme brulee. The cake was so soft, the mousse like a cloud of chocolate in my mouth, it was perfect. The creme brulee kept consistent with the rest of the meal and was perfectly made and unfortunate to finish, as we both wanted more. The service was phenomenal, the waitress was clearly busy, but was serving with a smile on her face and managed to neglect nobody. The bus-person was running around making sure every plate got cleared and the water never reached below the halfway point of the glass. The interior was stunning; great to see some indoor bathrooms as opposed to Old Europe Inn. The booths are comfortable and very nice, the bistro style seats are the perfect fit, and the bar and lounge is somewhere I can really see myself sitting comfortably for hours. (the bartender clearly knows what he is doing back there). I strongly suggest you make a trip, the pricing is shockingly less than I was expecting. Well worth it. I can't wait to try the lunch and happy hour. Anon (11/15/10 5:13 PM) I don't know who you are, but that was a VERY informative, well thought out and well written post. I'm sure we would all like to hear more from you! Ambiance was a bit lacking for my taste, food was not what I had hoped, but I will be giving them another try in a few months. I know they just opened and have things to work through and I wish them the best. Salem needs more independent restaurants outside the usual "Chains" that most Salemites seem to gravitate towards. I was very pleased with the food and the service was laudable. The interior decorating is pleasing to the eye but it echoes every sound and the noise level was a bit too high for my comfort. And, I hope they bring back some more of the old favorites we used to order - like the schnitzel. I don't think the idea behind the move was to relocate or reinvent the Old Europe Inn. I think a new menu for the new venue is more what they had in mind. Redirecting their incredible creativity may invigorate their culinary artistry. From what I can discern, it's working so far. I too miss the old place. It's a shame the new and old couldn't have coexisted. But I, for one, applaud their courage to embark on a bold new journey in an economic sea of uncertainty! I recommend everyone try it. Yummy bites for hh all like $3-6,they have late night hh, cozy bar. Oh...My...Goodness... and not in a good way. My wife and I stopped in here at 4:00pm to see the place because I heard they have great fries and my wife wanted a glass of wine. As we walked in, the wait staff saw us but didn't acknowledge our presence. We waited to be seated, but the waitress took off, and the bartender glanced at us and returned to the bar. So, we tried to seat ourselves. At that point the bartender asked us if we were there for dinner, and since we were not, asked us to move; either to the bar or to a high table right next to the only other group in the restaurant. When we asked if we could sit at a table, he still directed us to the little table by the other guests. We ordered drinks and the Blue Moon beer was good, but my wife's Pinot Noir wine was fine, but a VERY light pour. We looked at the grease soiled, wrinkled, and white out modified menus and wondered what to get. We ordered Sliders, Flank steak skewers, and I asked for fries since they are not on the menu. The two sliders were Very tasty. The skewers were a totally disappointment. They came on a pile of super wet mashed potatoes that may very well have been instant. Moreover, they were coated in an instant tasting brownish demi glace type sauce that had no hint of coconut nor of orange, and only the imaginary idea of curry. But the best part of the story was the fries. They didn't come and didn't come, and finally the bartender went looking for them. As I watched, he didn't find them under the lights of the window. He glanced around and saw them on the table where some men in aprons (workers?) were eating. He grabbed their fries and brought them to our table with no explanation. Once I got past the idea of eating food that had already been part of someone else's meal, they were very tasty. They were hot and fresh, and I liked the batter and spice. So, all in all, their food and service was shockingly poor. Sad, because it looks so cool. I might try it for dinner, just because all the other comments suggest it might be a different staff and cook, but this experience was a total disappointment. You still ate the fries!!!!!!!!!! Lounge is awesome, drinks are good, food is delicious, restaurant is stunning. That's it in a nutshell, it's a must see and experience. I loved it and will be going back very soon. I want to chime in about the chicken skewers at Orupa. A friend and I met here for drinks one evening in December to see how we liked the place. The barkeep recommended a table in the lounge, and obligingly turned down the nearby lamp that was really right in my eyes. He was friendly enough, and asked if he could make any drink recommendations for us. I didnt see a cocktail list anywhere so with his help we bought a bottle of Cubanisimo Pinot Gris to share, which was superb (worth visiting the winery's tasting room if you never have, its beautiful!). Our bartender checked on us regularly... My friend wanted the chicken skewers, which I never order because they're usually chalky, dry and tasteless. These were heavenly. Tender and flavorful, crispy on the outside. We agreed that the bed of mashed potatoes was the best we'd ever tasted -- I think I tried to get every last bit upnwith my fork. Everything was priced reasonably and no one minded that we sat til they got out the floor vacs to close. Its too bad that another reviewer had an opposite experience with the chicken skewers, but they are what I would recommend ordering! I was thinking of trying this but now that I know it's the sam owners as OEI, I'm not so sure. All my experiences there echoed the poster above's experience with the missing fries-weird and quirky. From the outdoor bathrooms that remained so despite years in that location to a waitress giving us wine she had carried under her armpit, I'm concerned that just changing locations and menus to something more posh isn't going to help the underlying issues we experienced at their old location - weird and quirky. Sometimes it can be charming, but, as in the case of the half-eaten fries and my armpit wine, it can be a turn- off. I'll wait to see more reviews before making the decision to eat there. Question I have is that if the wait staff don't realize that serving someone fries that have been on someone else's table is against code, what is happening in the kitchen where we can't see? My cousin Jeff and his wife Marilyn took us to Orupa for dinner last night. We were promptly seated in which, I understand, we were fortunate. Marilyn and I shared a wonderful appetizer of Dungeness Crab N' Brie on Brioche. Carol had Lobster stuffed Ravioli in Gorgonzola Sauce with carrots and Zucchini. Jeff and Marilyn each had the Mahi Mahi Special with vegetables and potatoes. I had Chicken Tandoori with Rice, Carrots and Zucchini. The Sauce was sweet and a little spicy. It was unlike Tandoori Chicken I've had in Indian restaurants which has been served in whole pieces or quarters and has been much spicier and drier. The chicken in this dish was cut in tender strips. It was very good, just not what I expected. Each dish was beautifully presented on the plate. Each was artistically crowned with what I at first though was some sort of cracker. They were, in fact, grated Parmesan Cheese somehow heat fused into a crunchy delight. I’d love to know what they’re called. Anybody know? We shared a fragrant and tasty bottle of Fourteen Hands Chardonnay. The wait staff was first rate. The food was delicious. The atmosphere was relaxing. And the company was great! This was our first time here for dinner. We like Orupa and will be back! I cannot believe you still ate the fries. You should have demanded to see management immediately. Un-excusable service. Those crunchy Parmesan thingies are called "frico" or fall into the category of savory "tuiles." ("Cheese crisps" would work in a pinch :-) Basically grated cheese (and usually a bit of flour) baked in a hot oven until crisp. Lovely atmosphere; nicely decorated. We both ordered spinach-based salads with different toppings/additions which were delicious and well presented (but the bread, breadstick and dipping oil were totally tasteless). Our service was excellent and timely. I will go back and try their dinner menu. 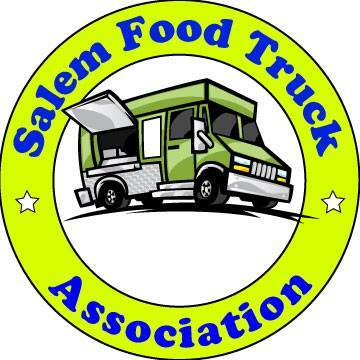 Me "Curious Salemites want to know ... will there be a roof top area this summer? :)"
Chef Dale Hilliard "It's something we are working on. The rooftop would make a great place to enjoy and afternoon or early evening meal, wouldn't you agree?"